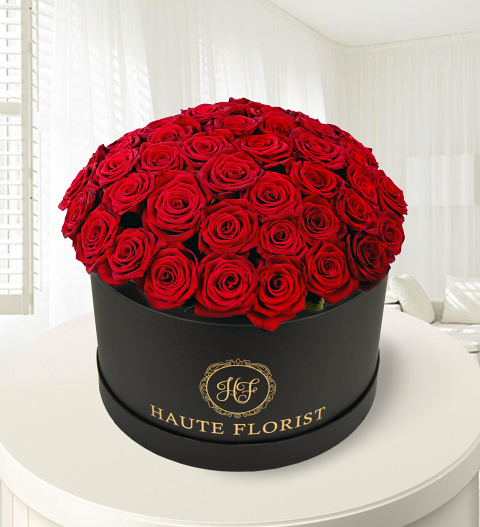 When you want your gift to make a real impression on somebody special, this arrangement of 50 Naomi Red Roses will certainly do the trick! Our florists have selected the very best blooms and arranged them in a styish hat box for a perfectly elegant presentation. Send this marvelous bouquet for any occasion and prepare to make any lucky recipient say WOW!